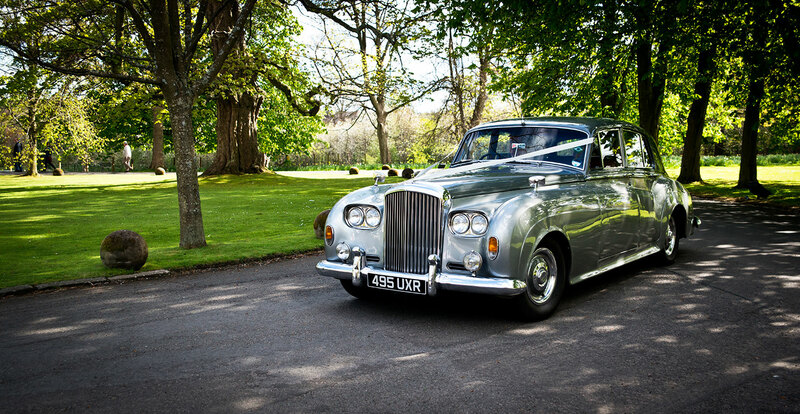 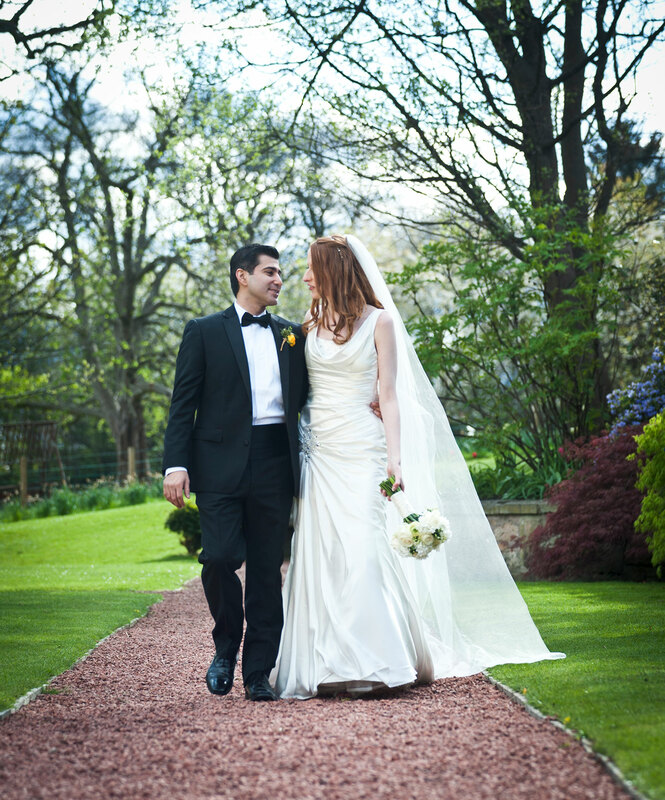 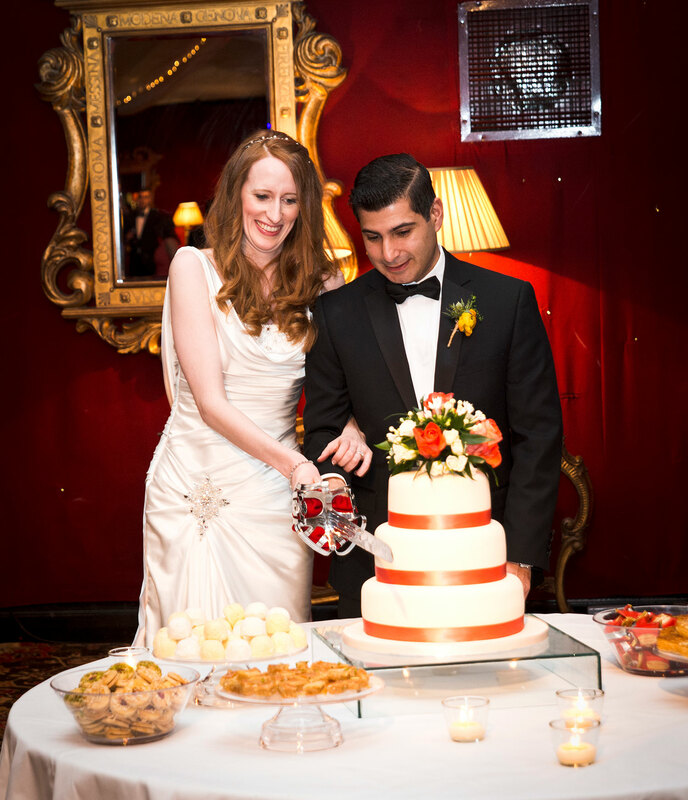 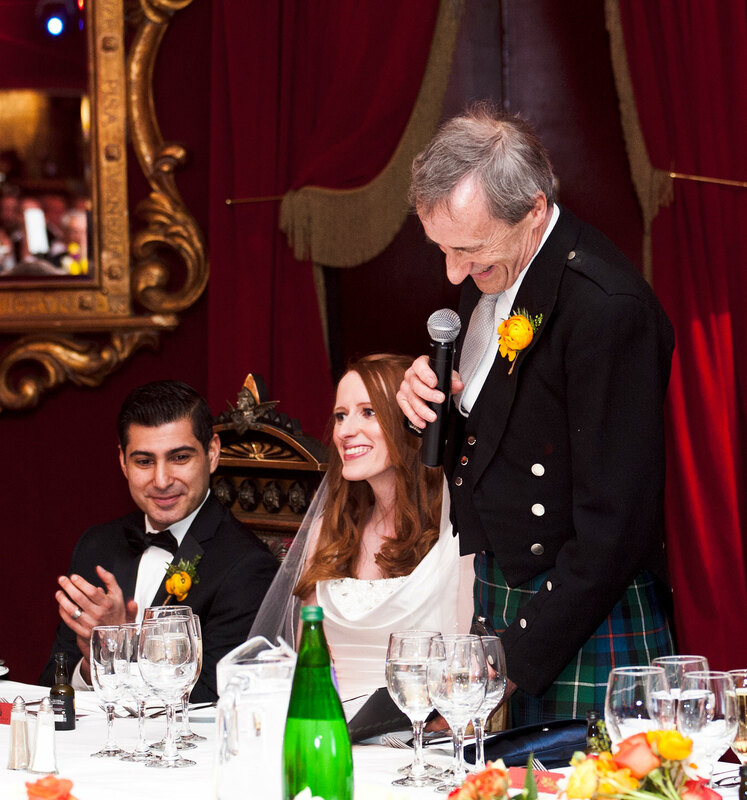 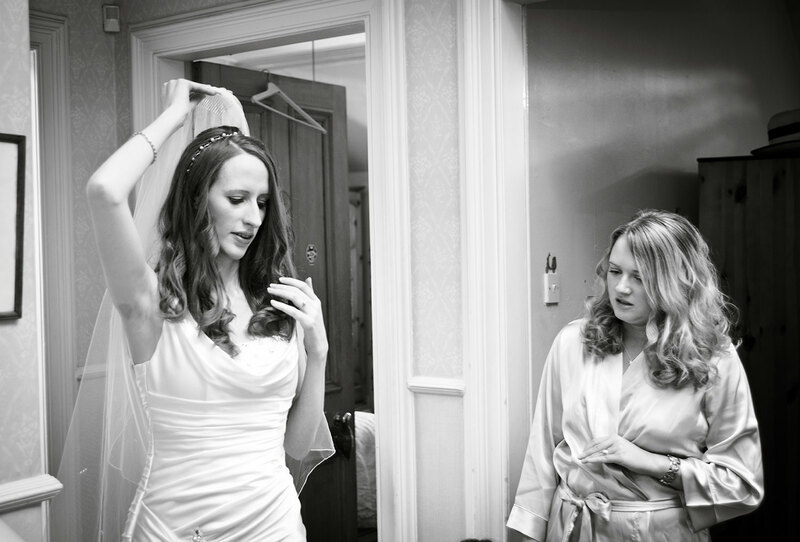 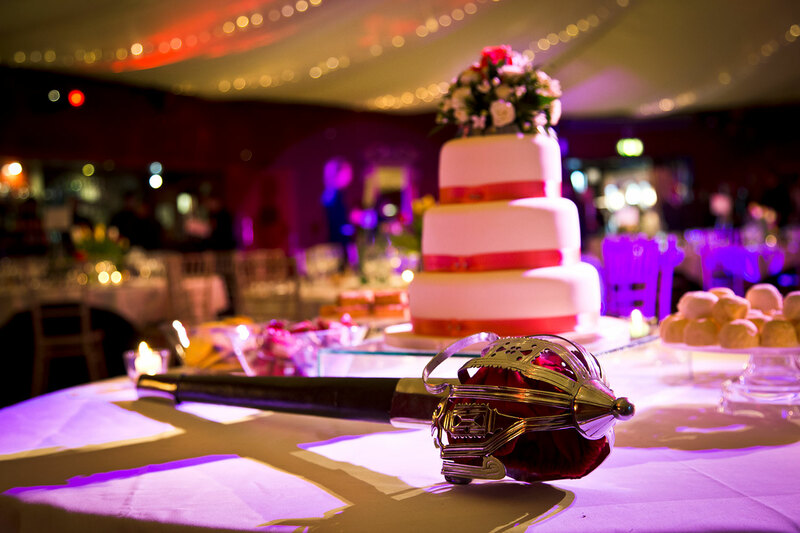 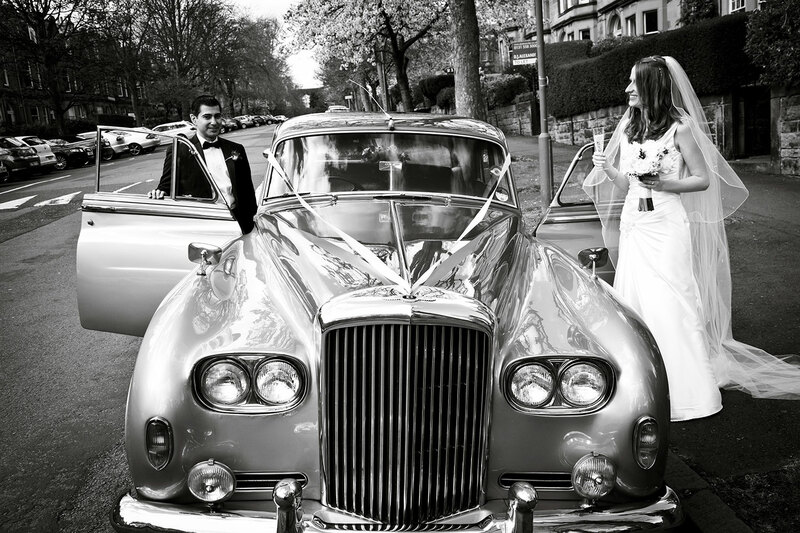 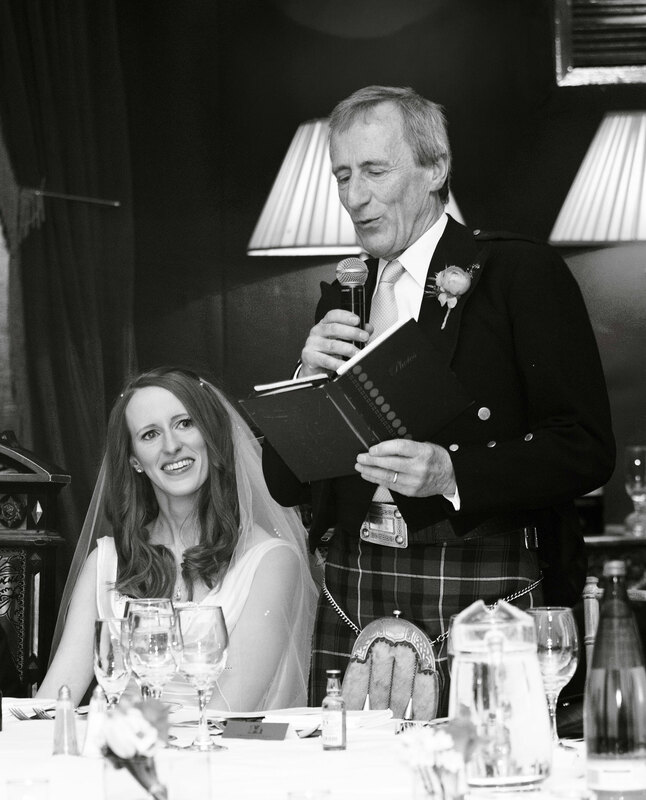 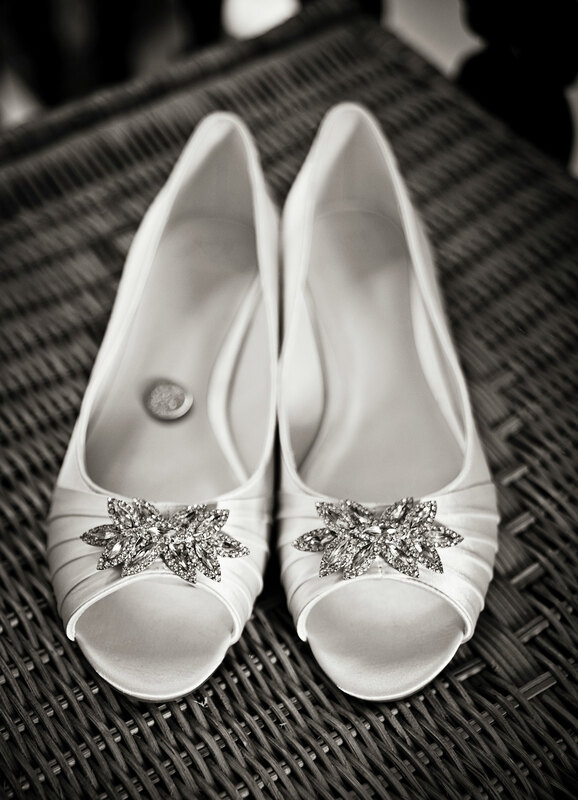 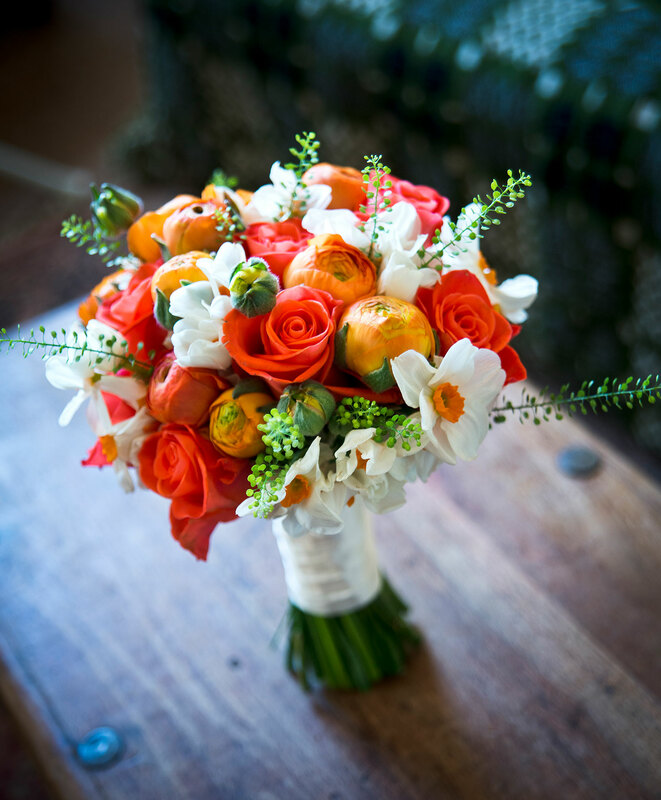 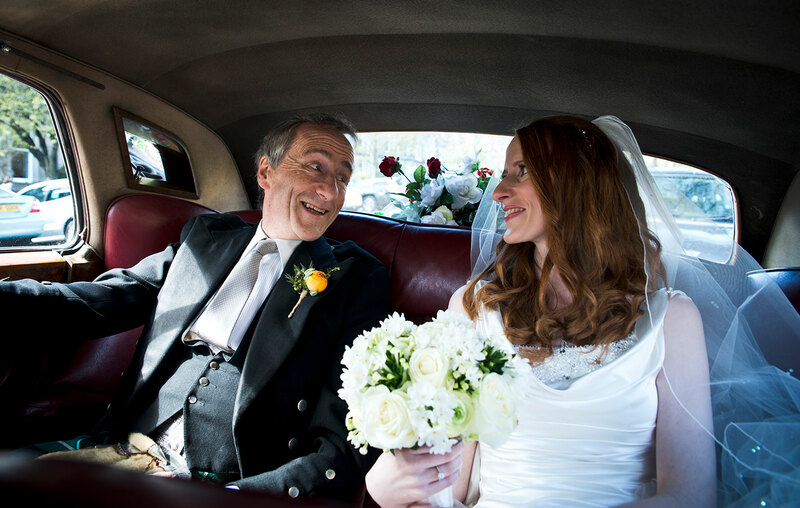 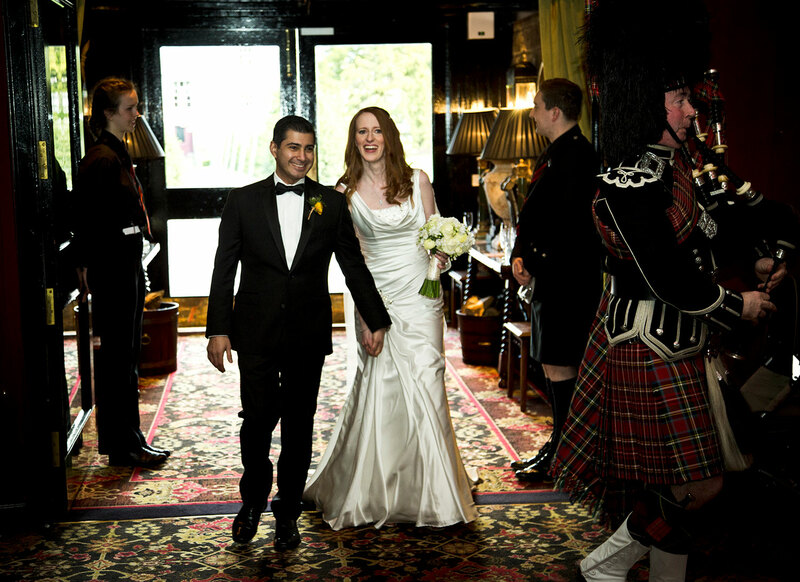 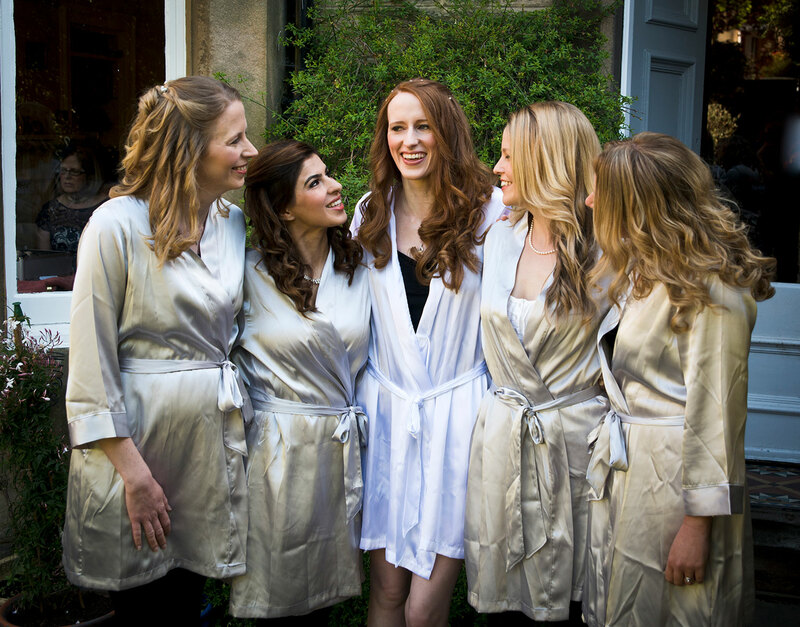 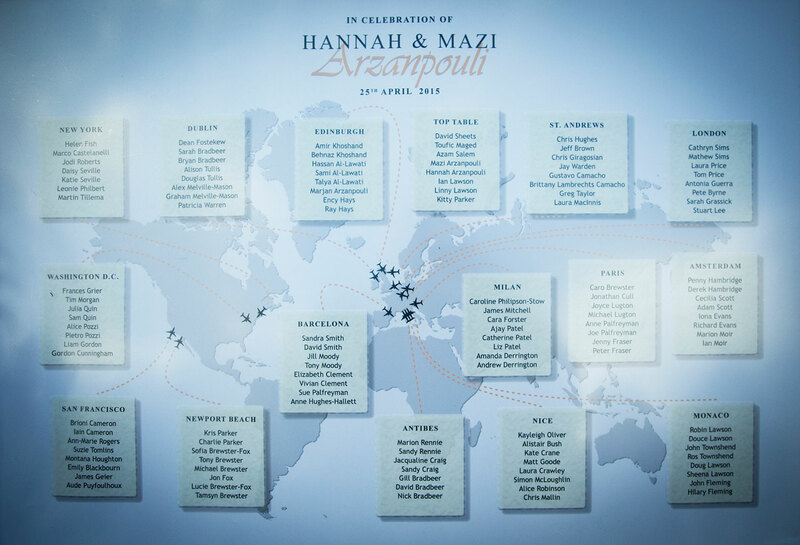 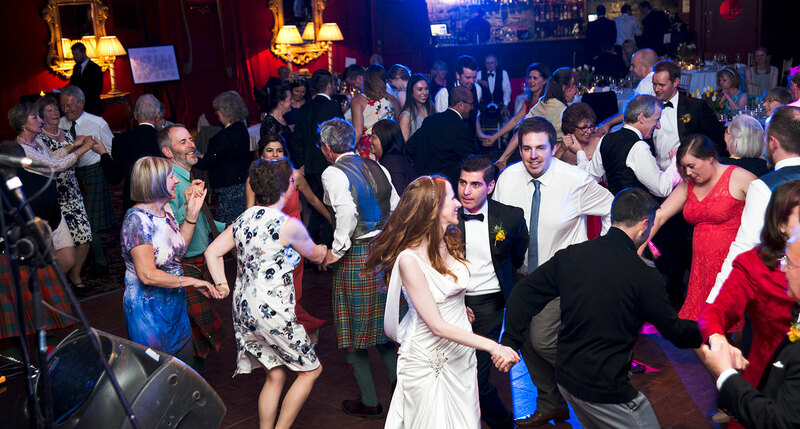 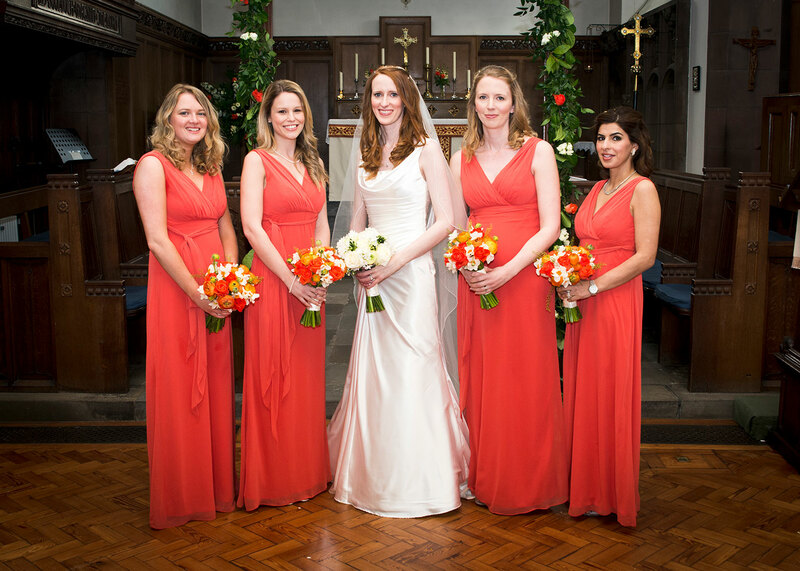 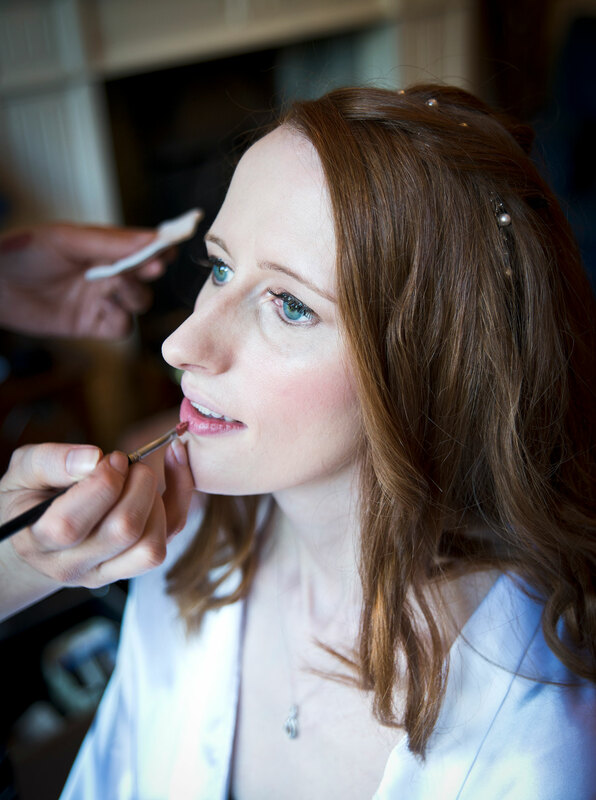 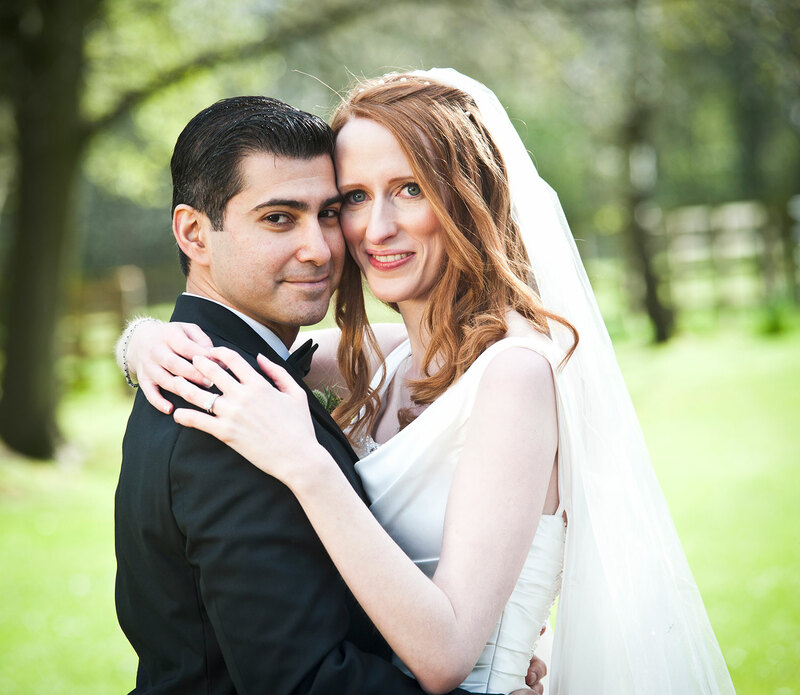 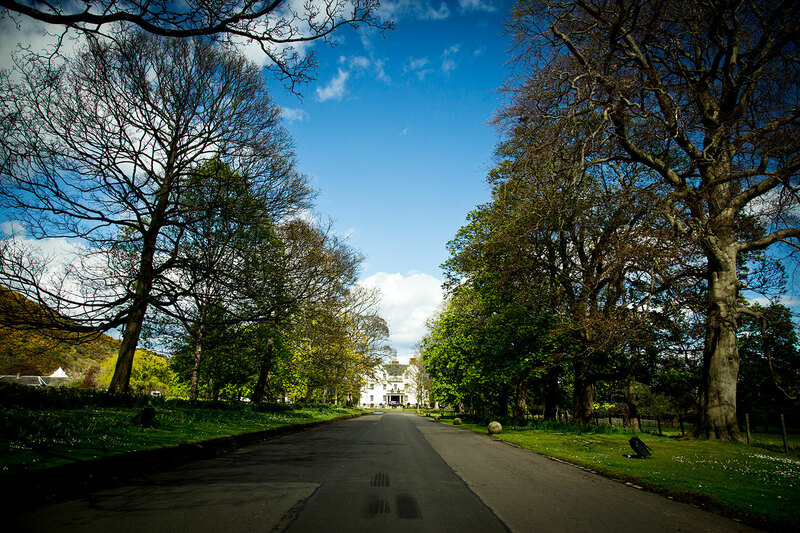 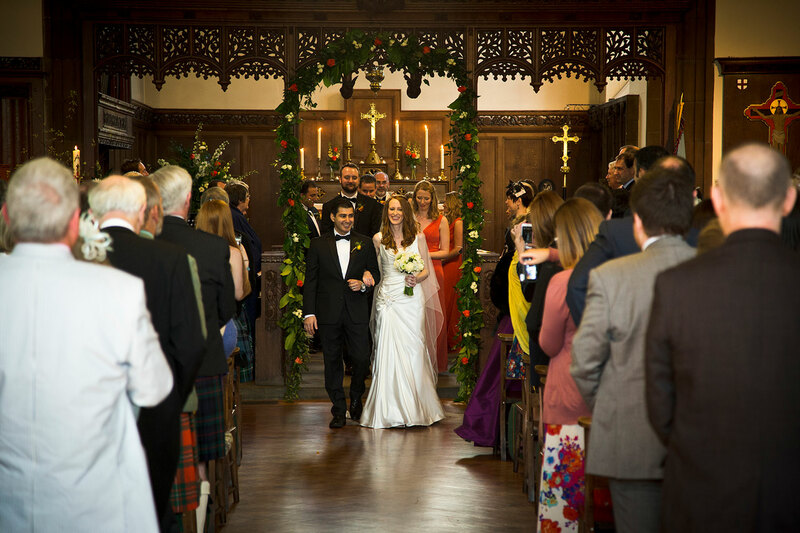 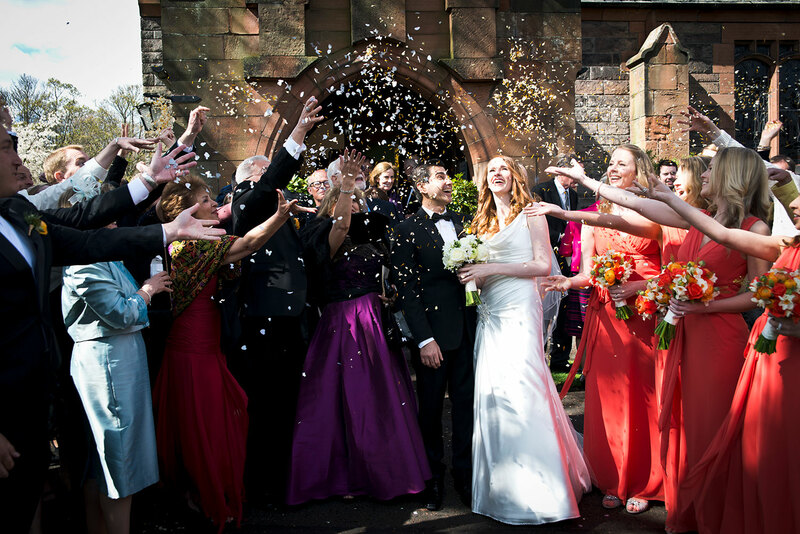 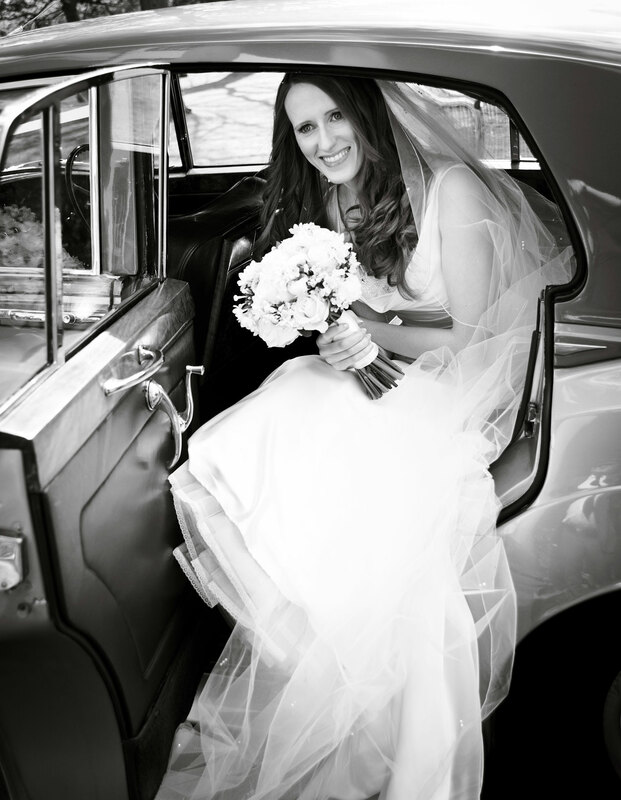 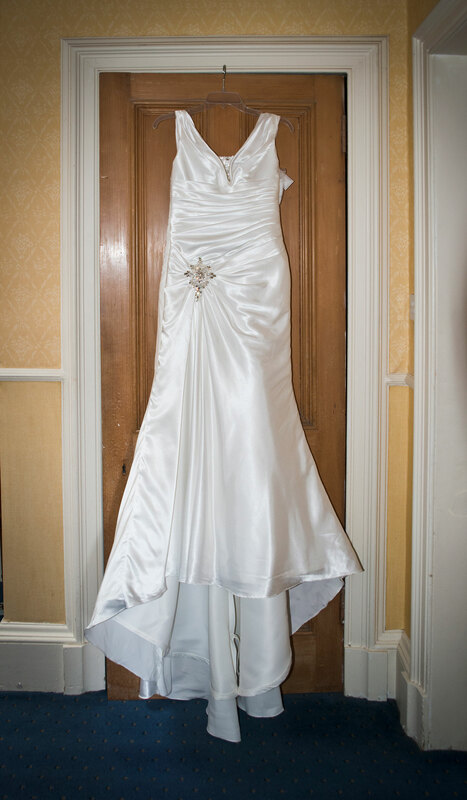 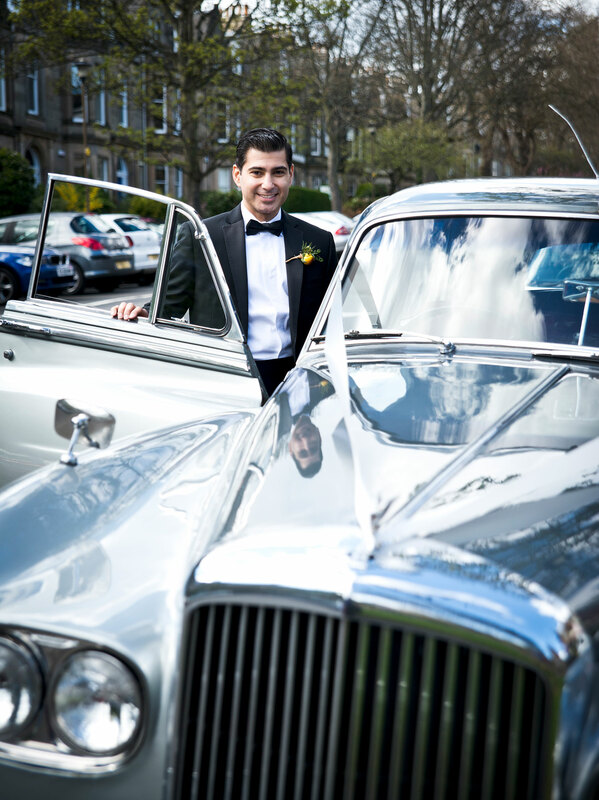 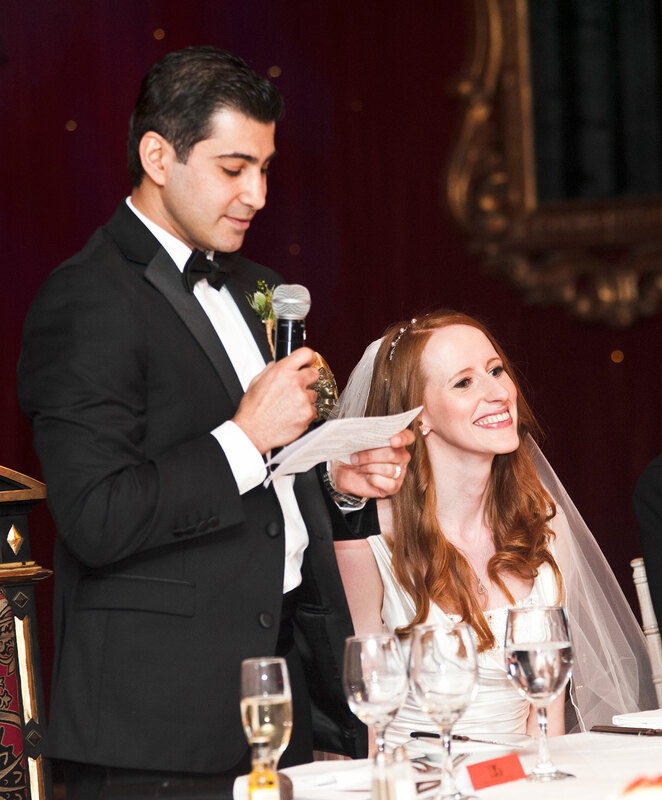 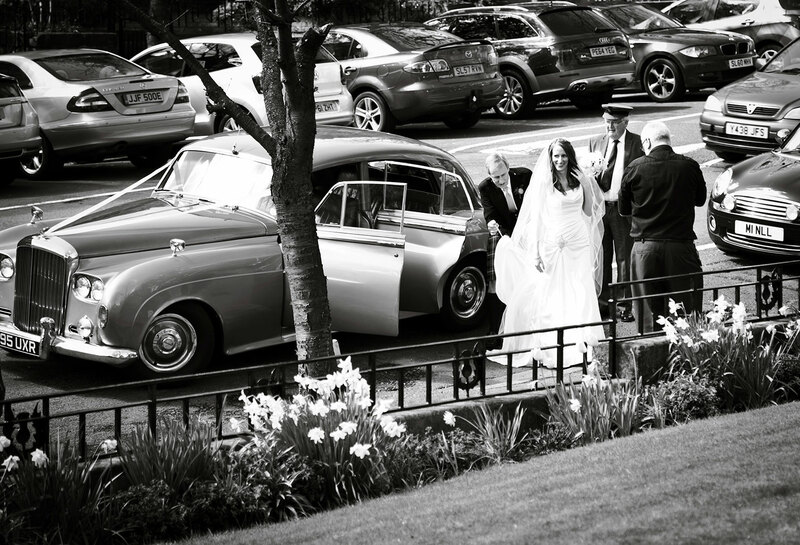 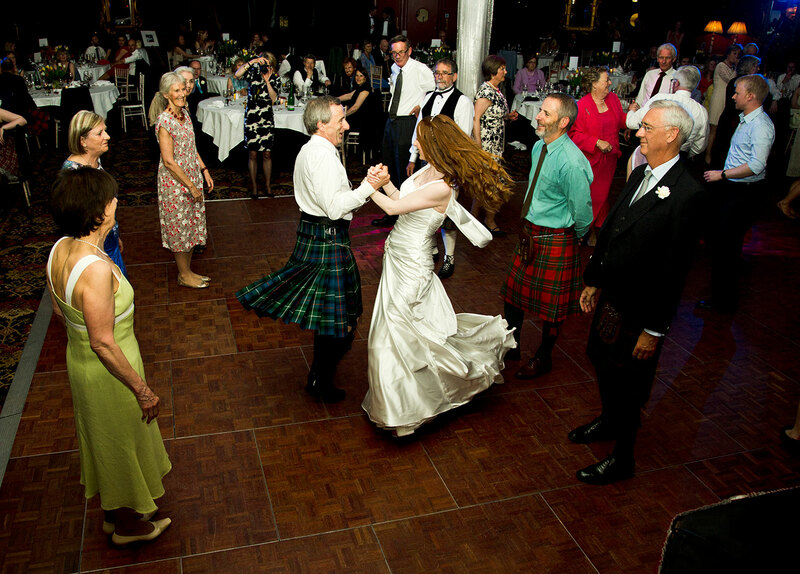 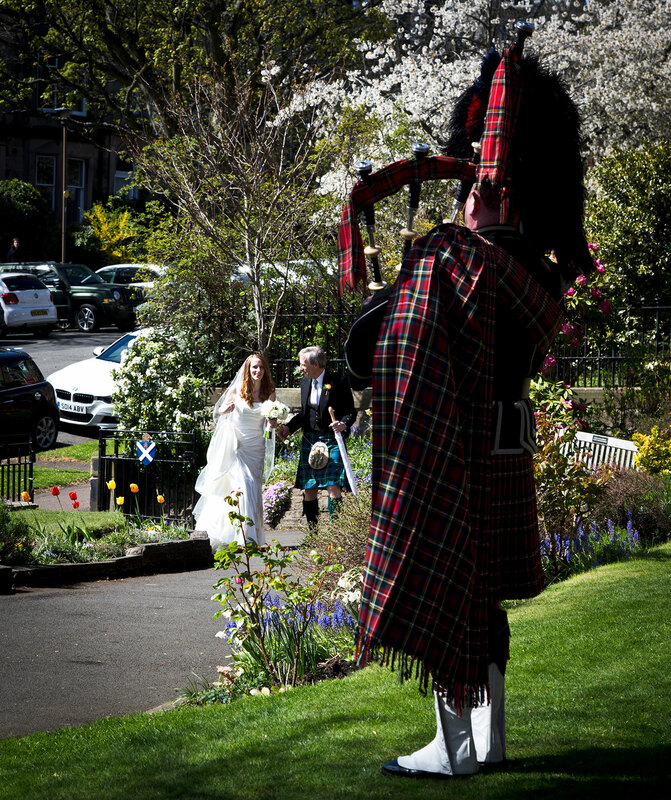 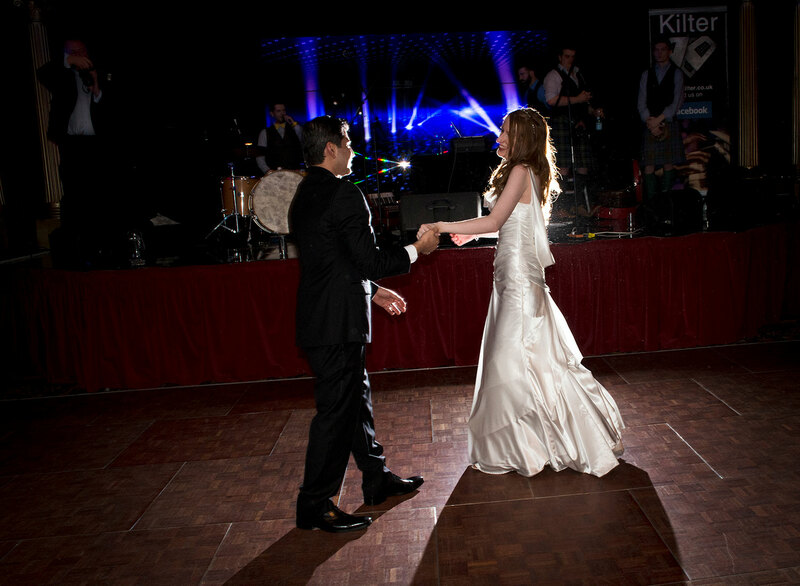 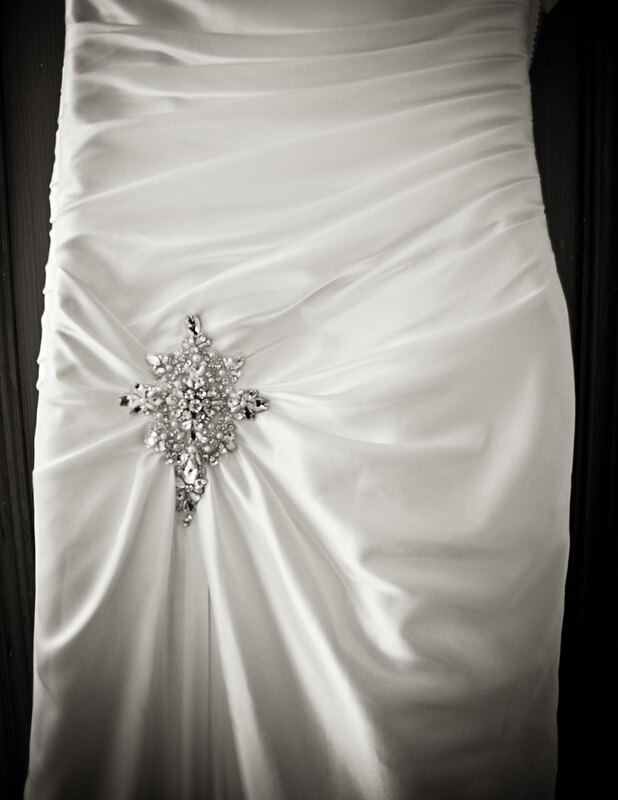 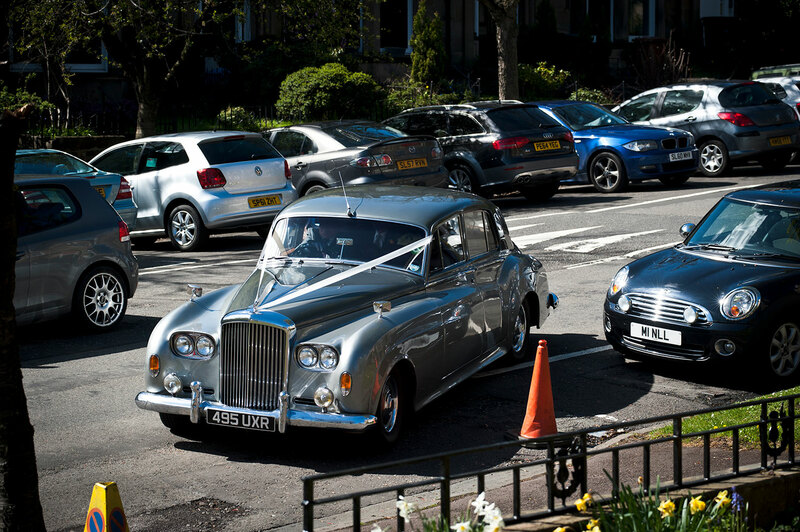 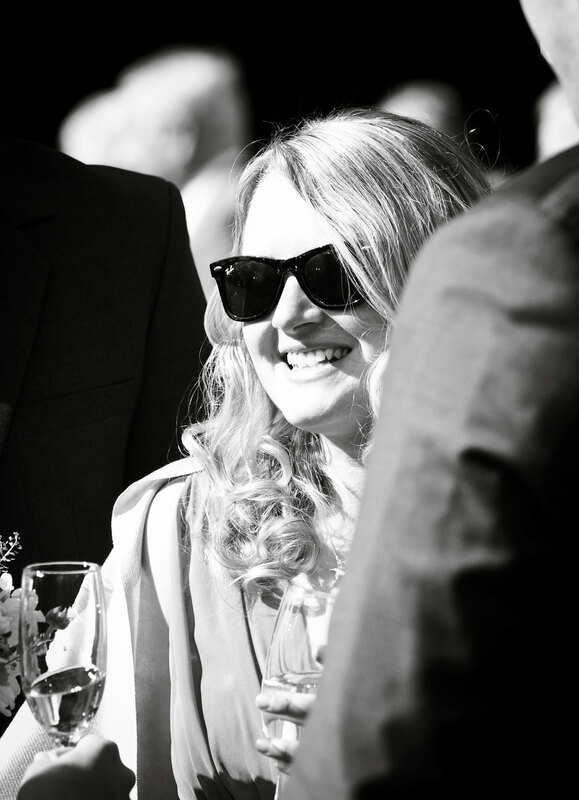 Hannah and Mazi celebrated their wedding in April 2015 in Edinburgh’s Prestonfield House. 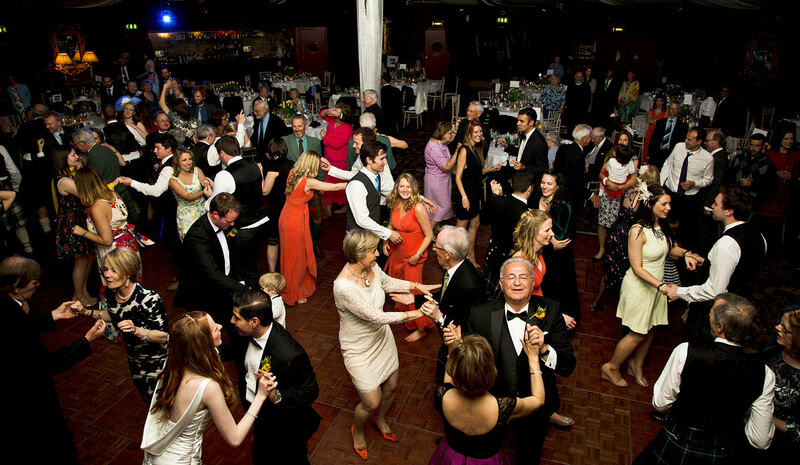 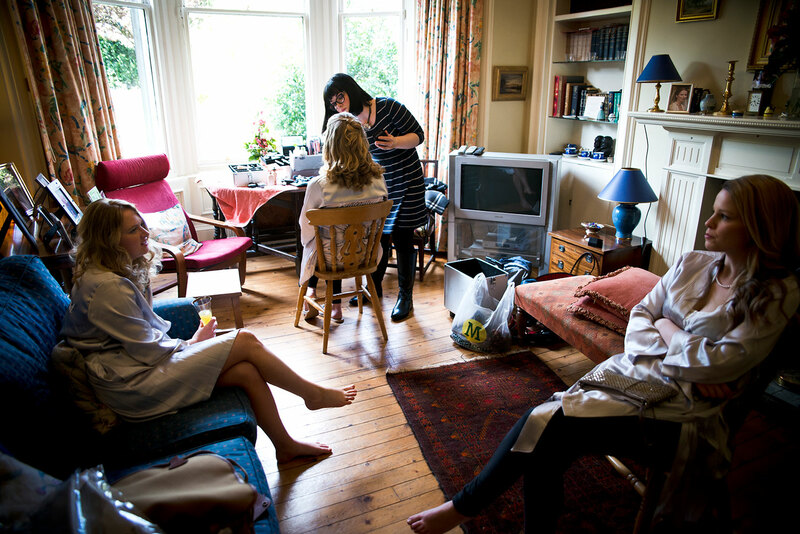 Both Mo and I took photographs from the bridal and groom's preparations until the dancing in the evening. 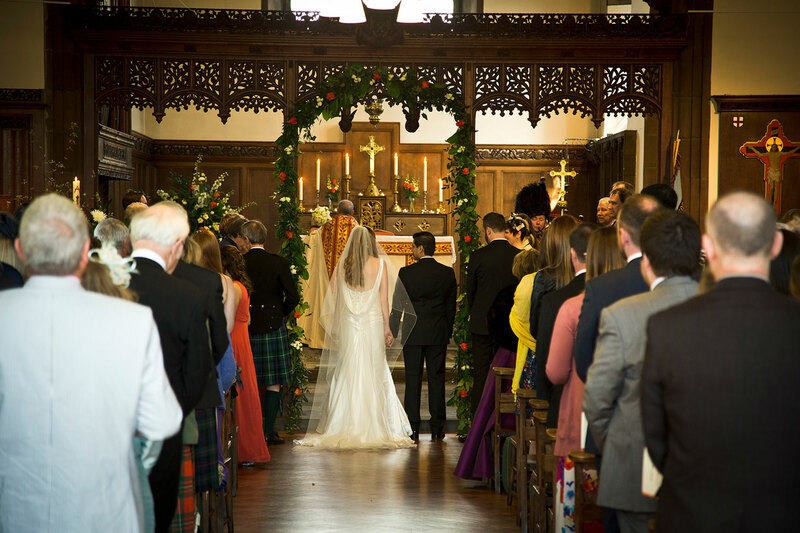 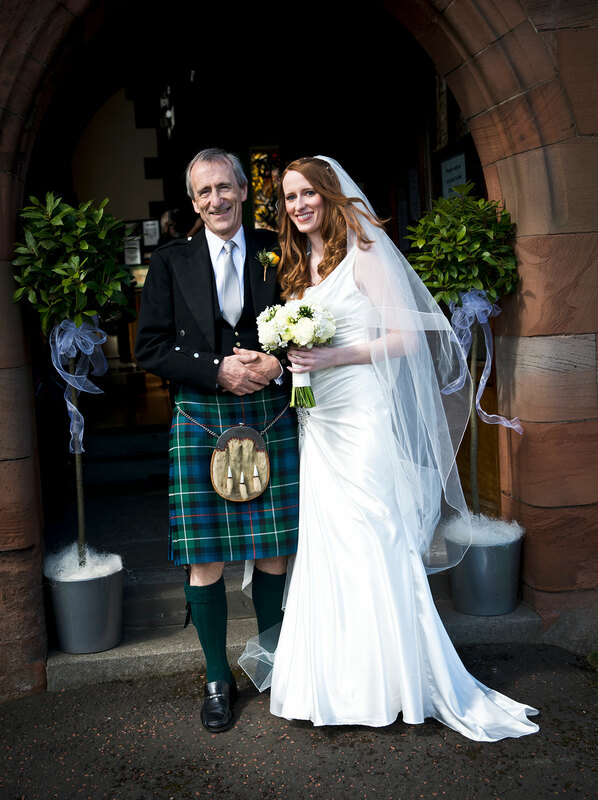 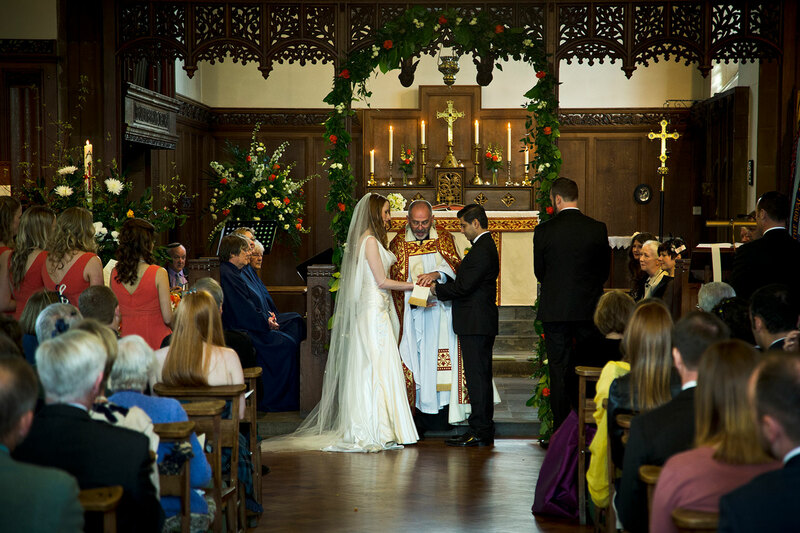 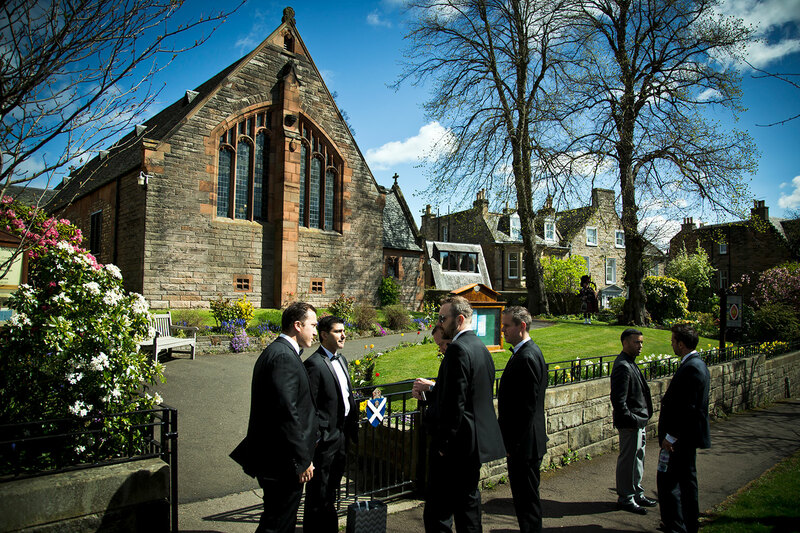 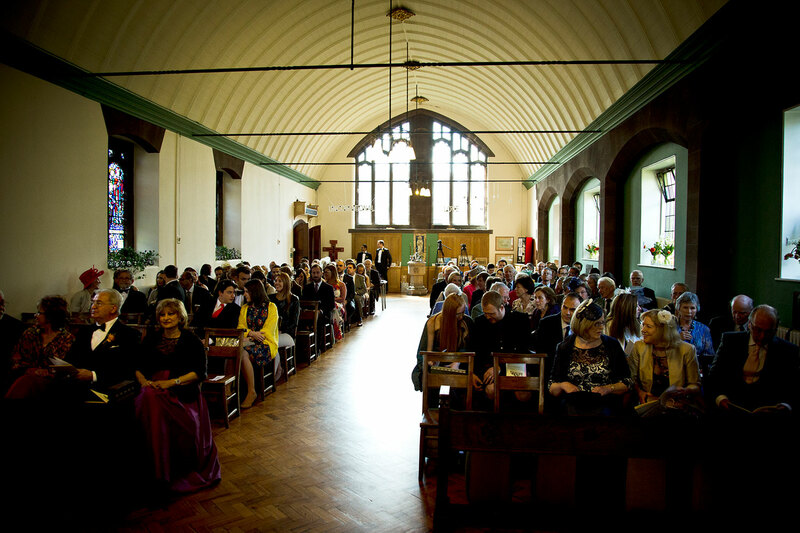 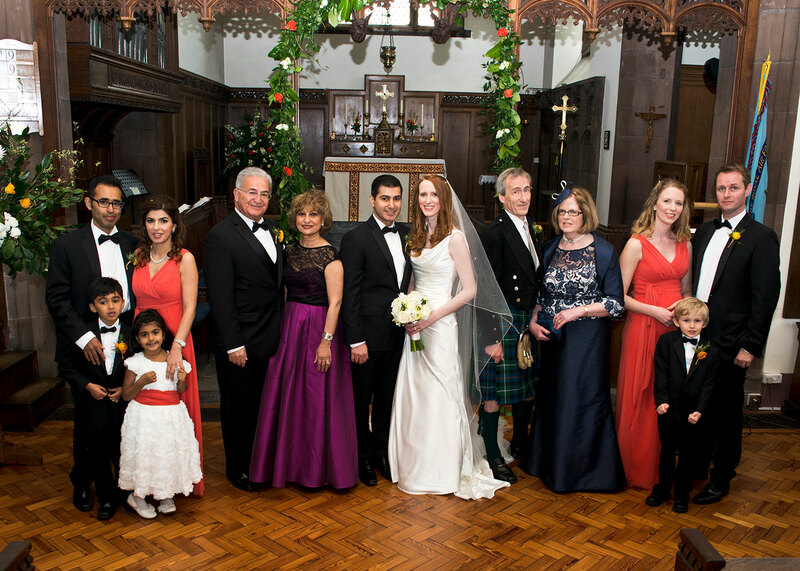 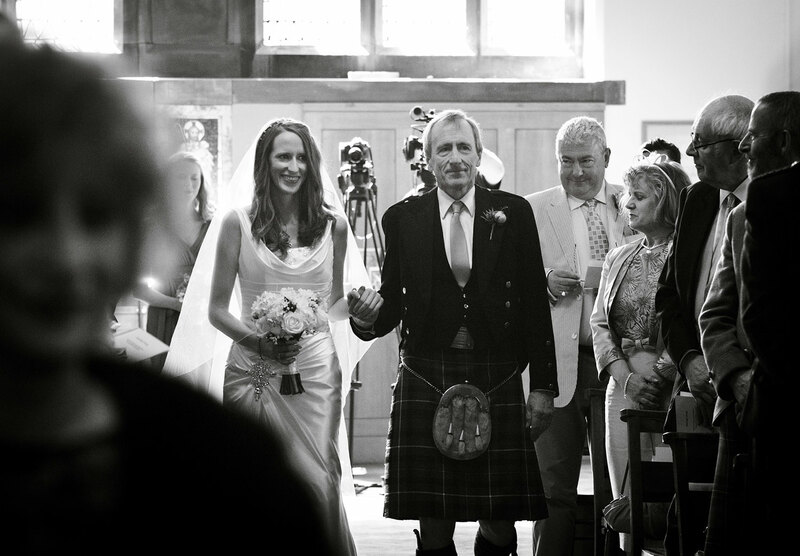 The ceremony took place at the Murrayfield Church. 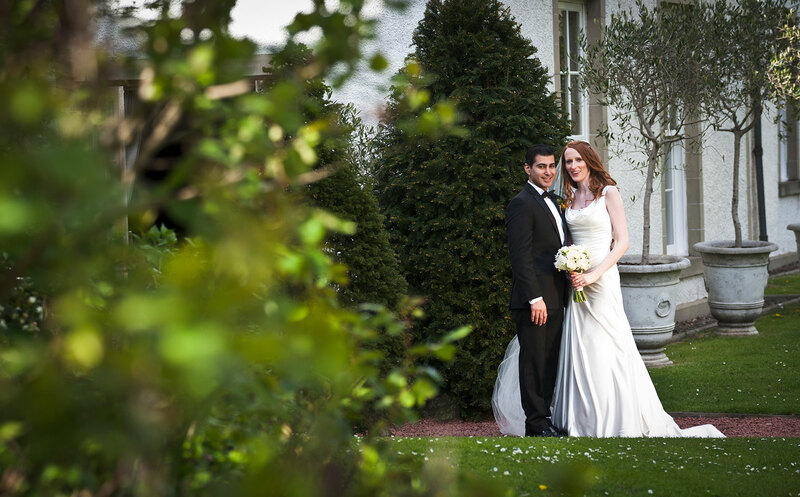 Prestonfield's gardens are just amazing for photographs, and their staff are always at hand for a wonderful wedding day. 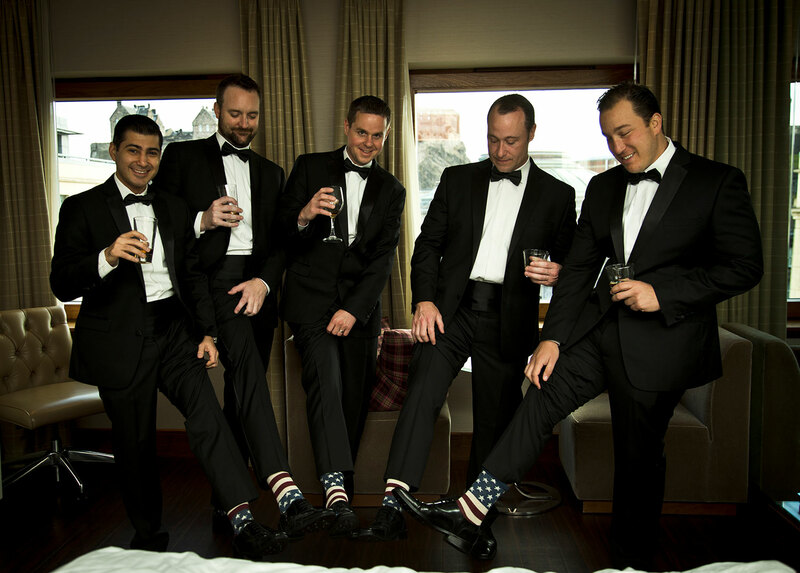 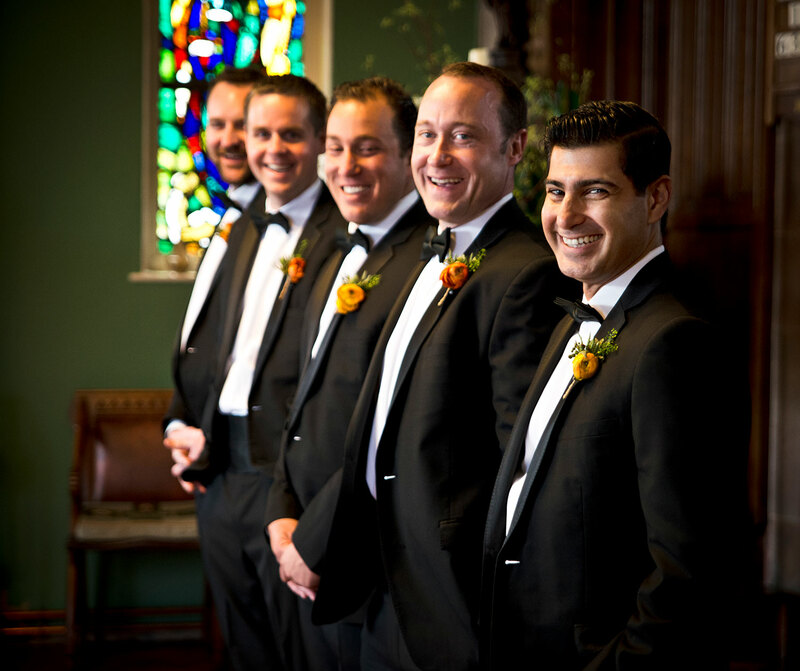 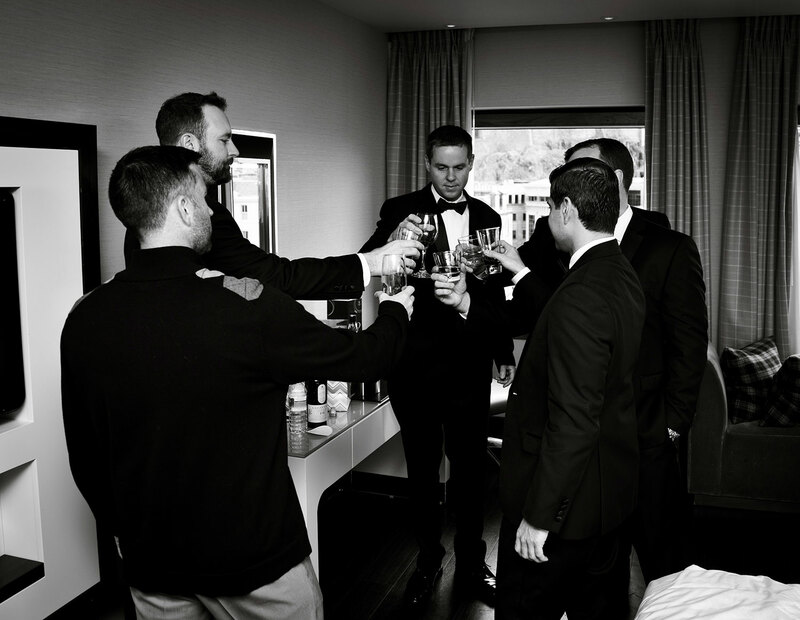 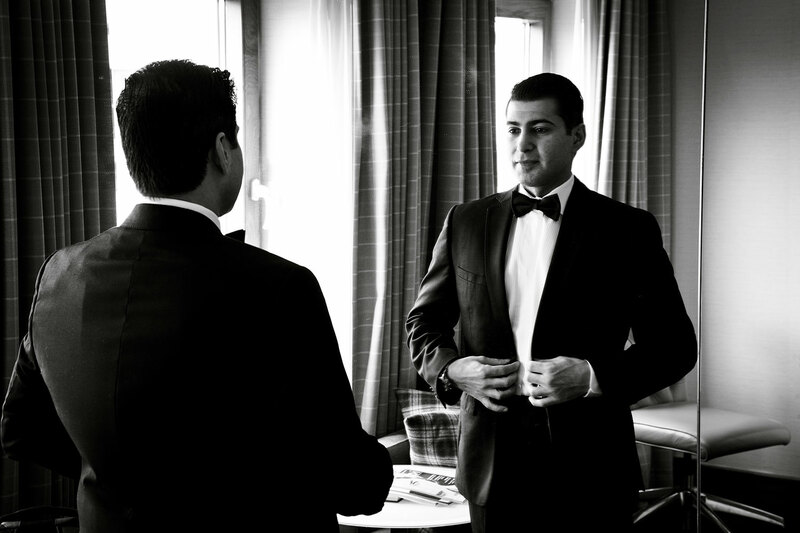 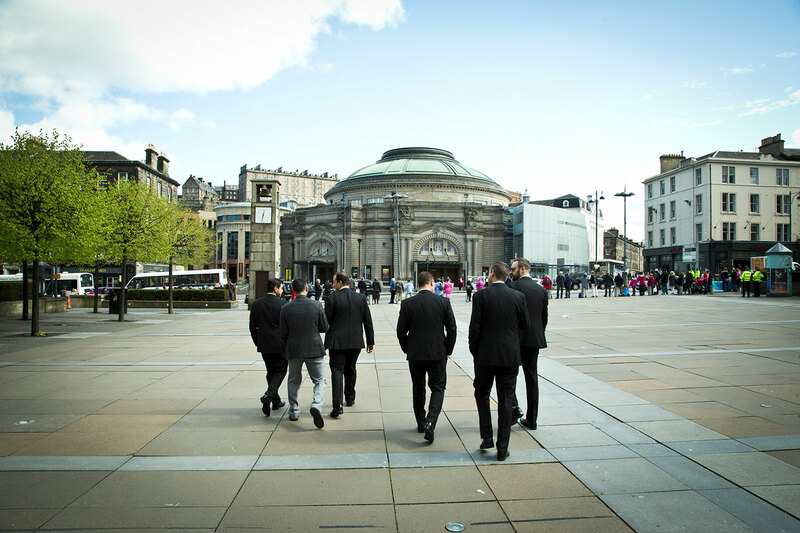 The guys were getting ready in the Edinburgh Sheraton Hotel. 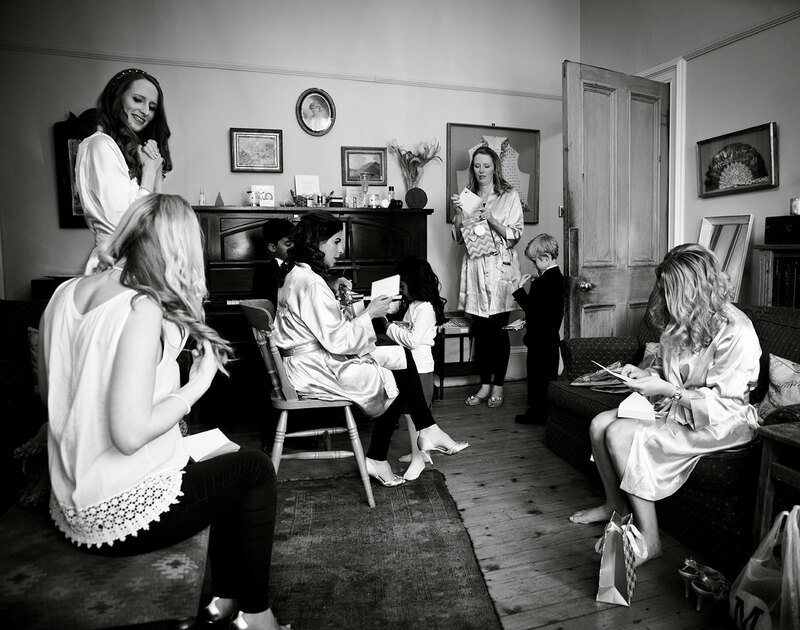 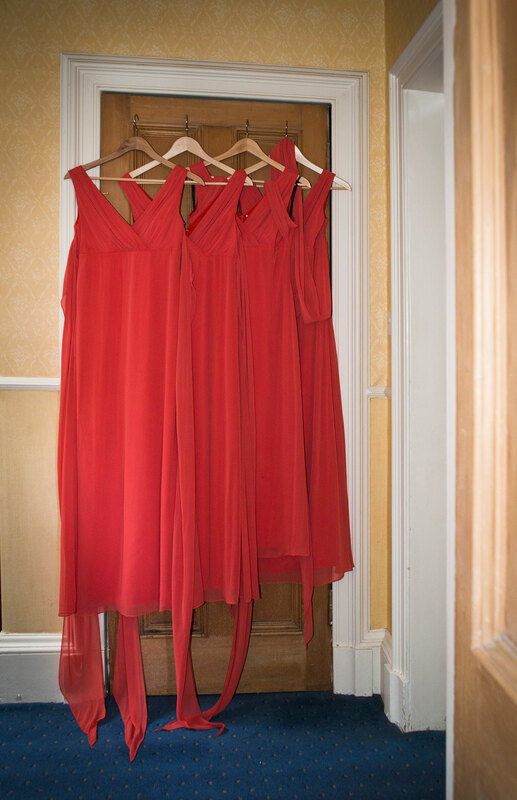 Meanwhile at the girls'... the bridesmaids got ready at Hannah's parents' home in Edinburgh. 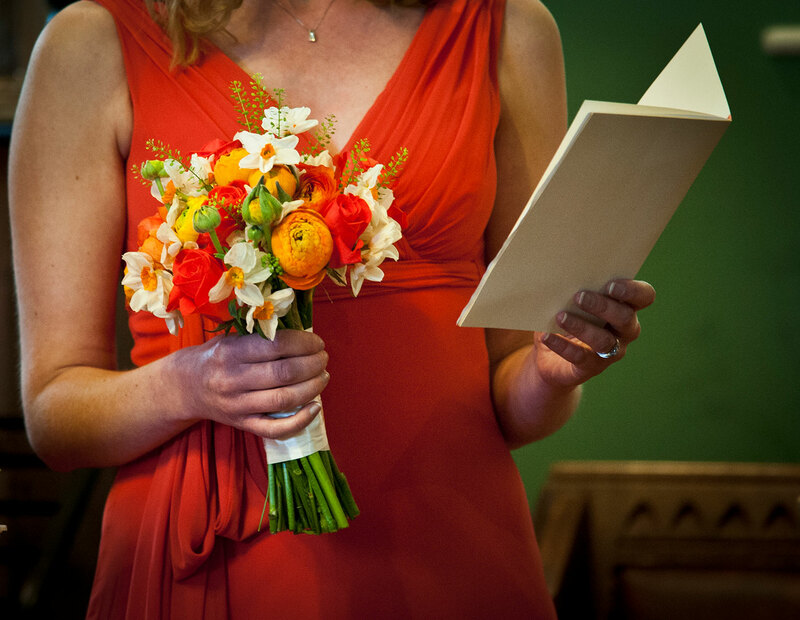 Just love the colours in this one! 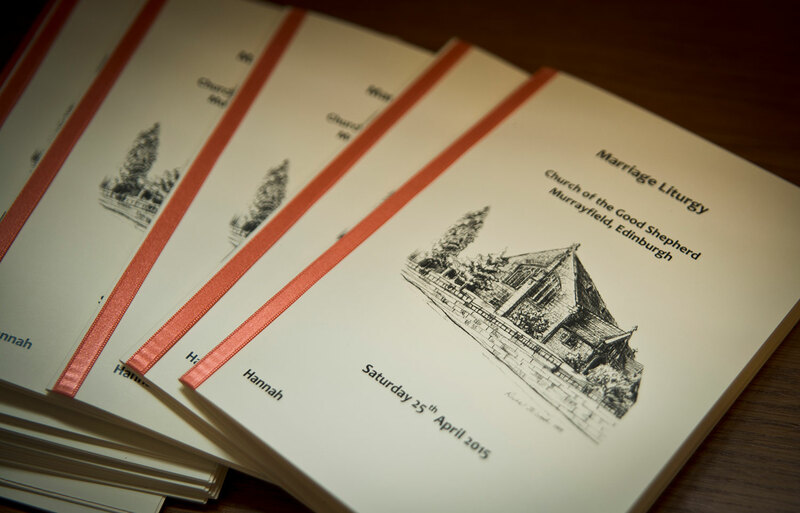 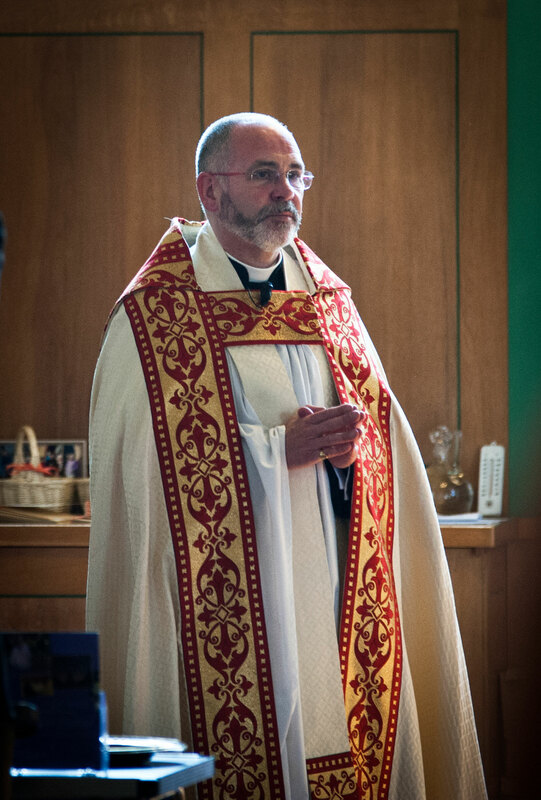 They had prepared lovely Orders of Service for the church in Murrayfield. 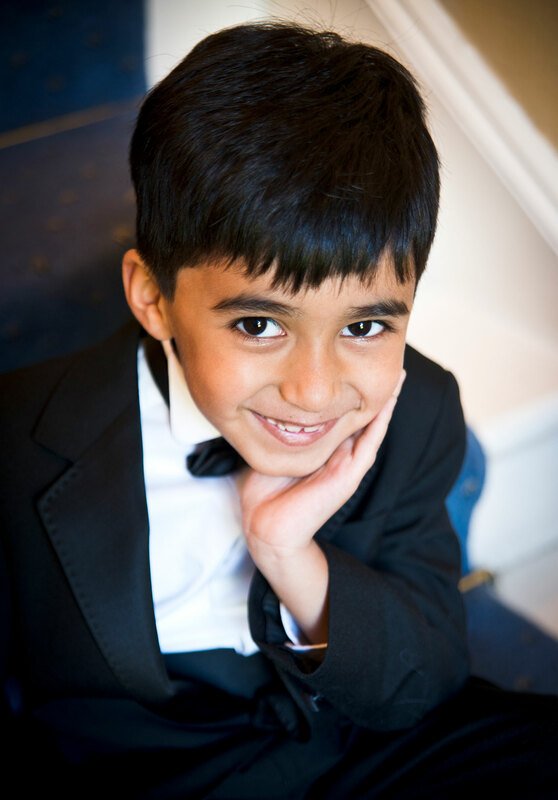 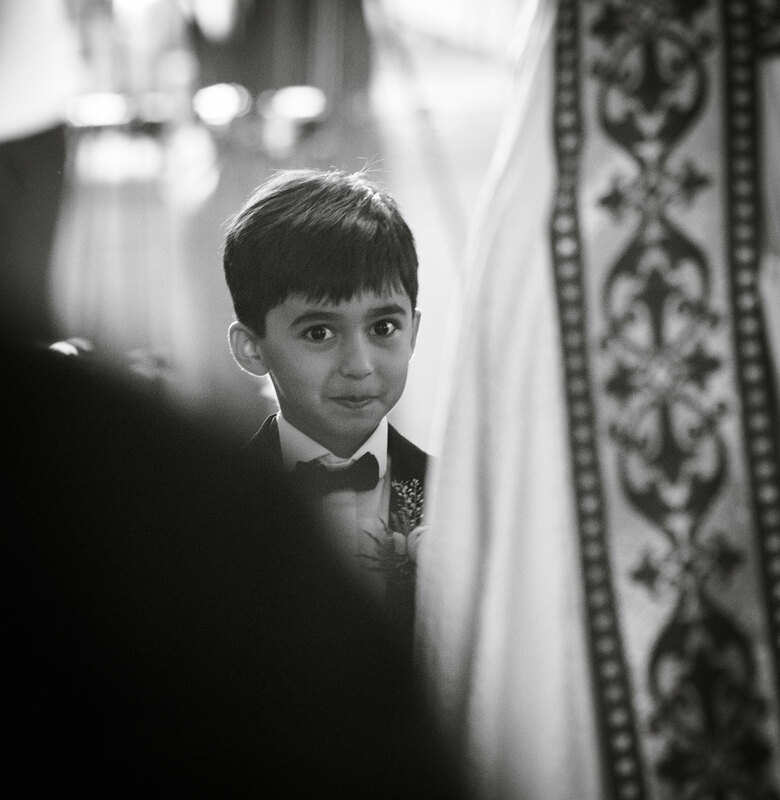 Mazi waiting for his bride. 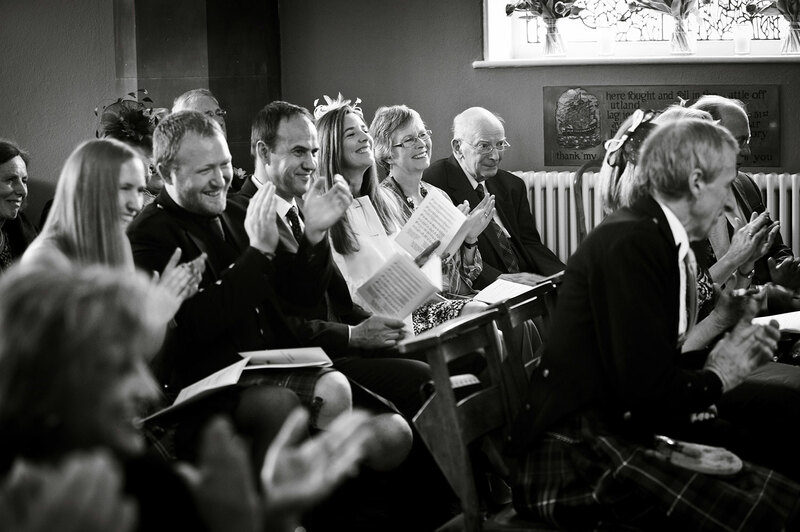 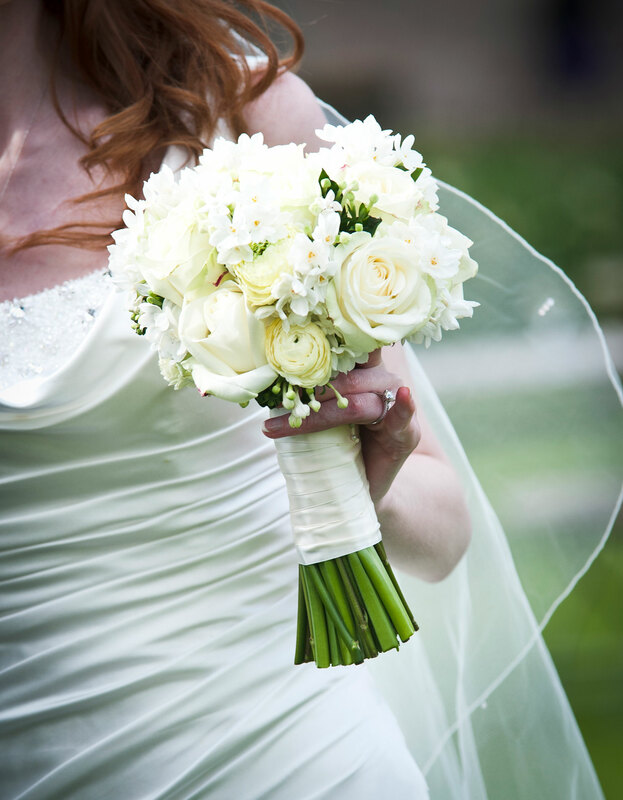 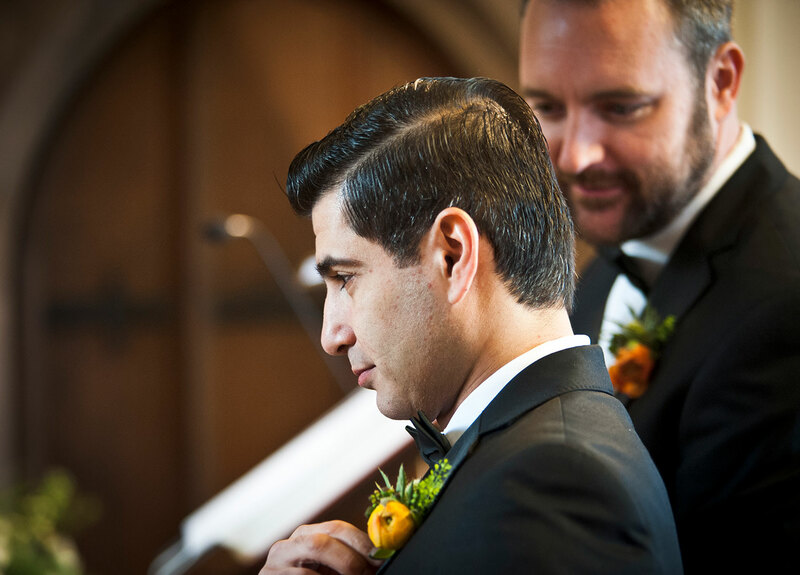 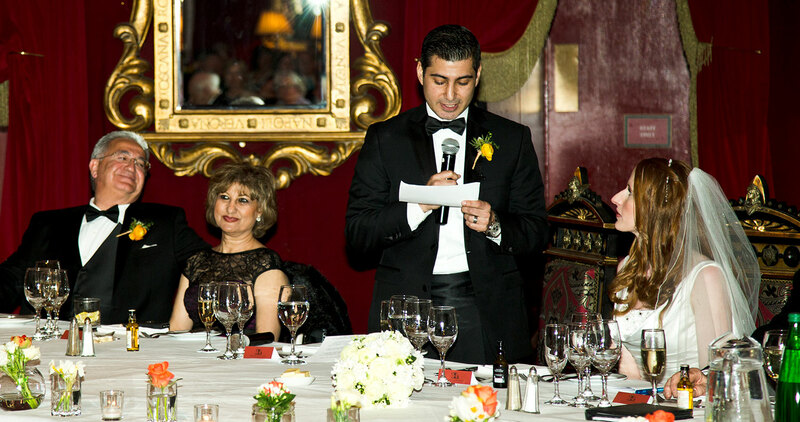 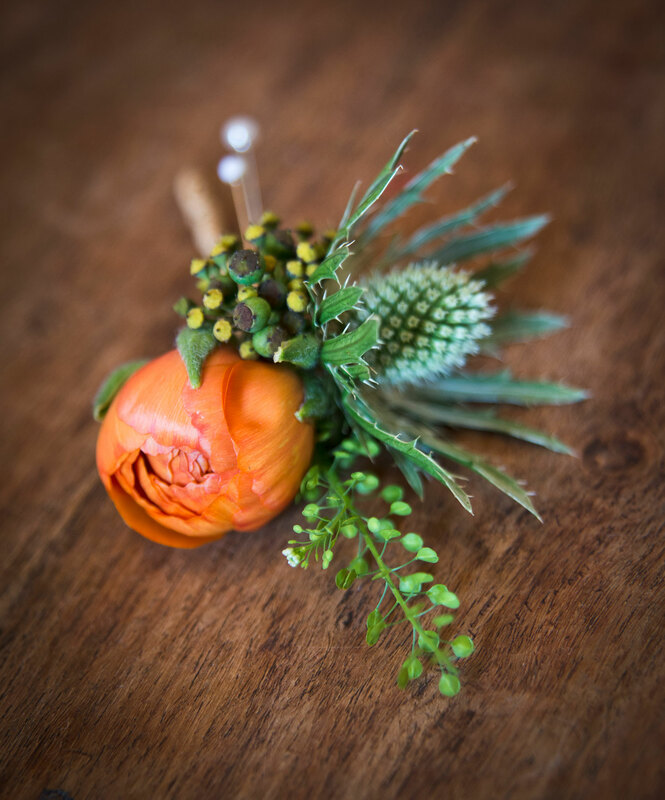 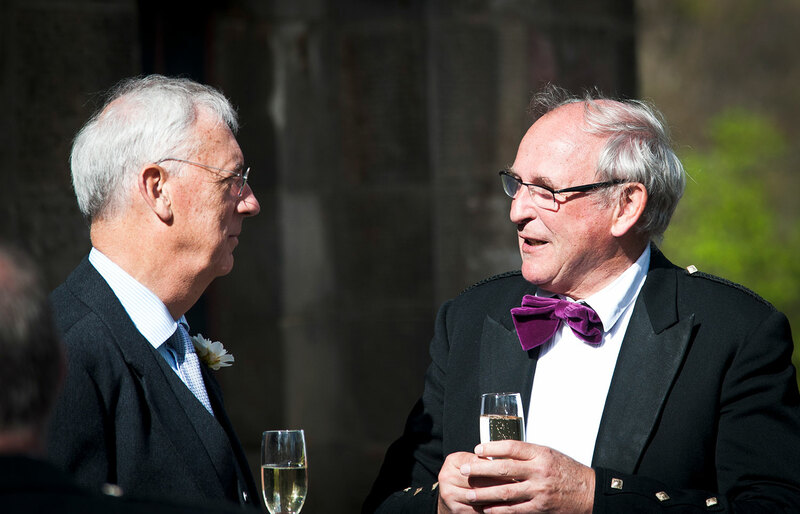 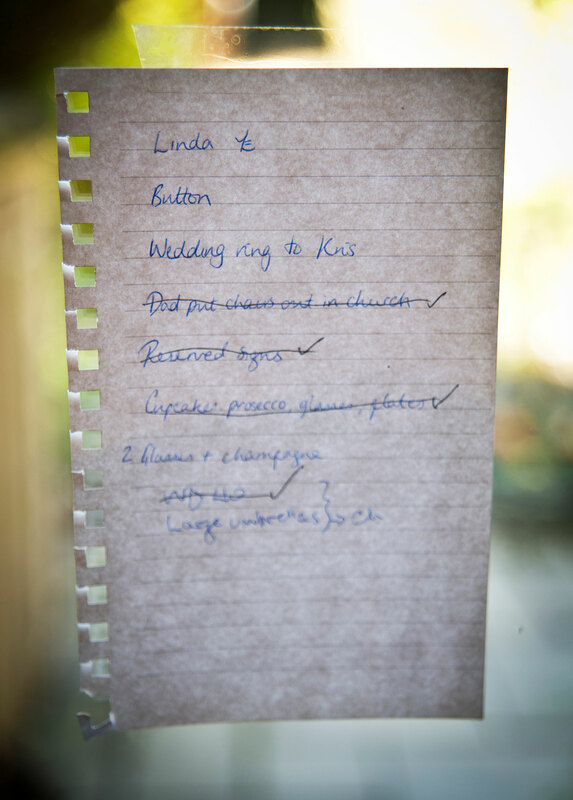 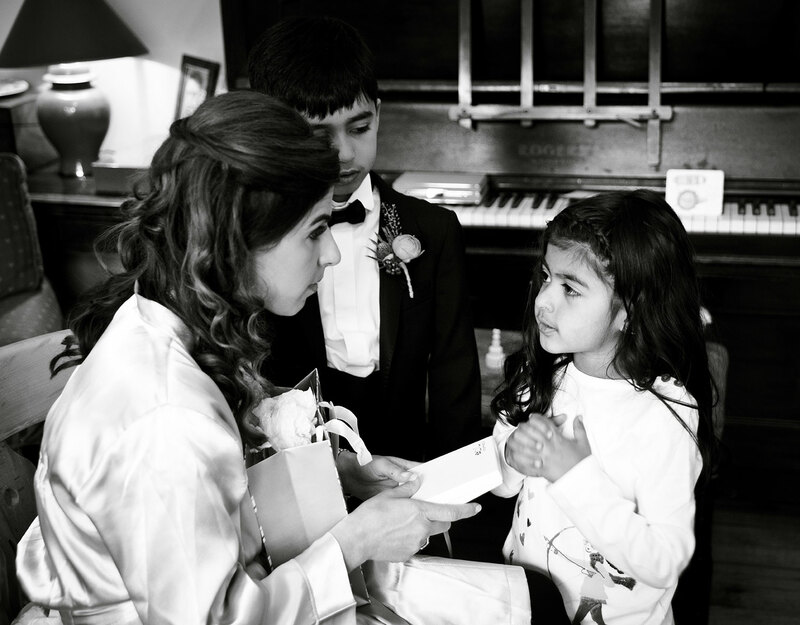 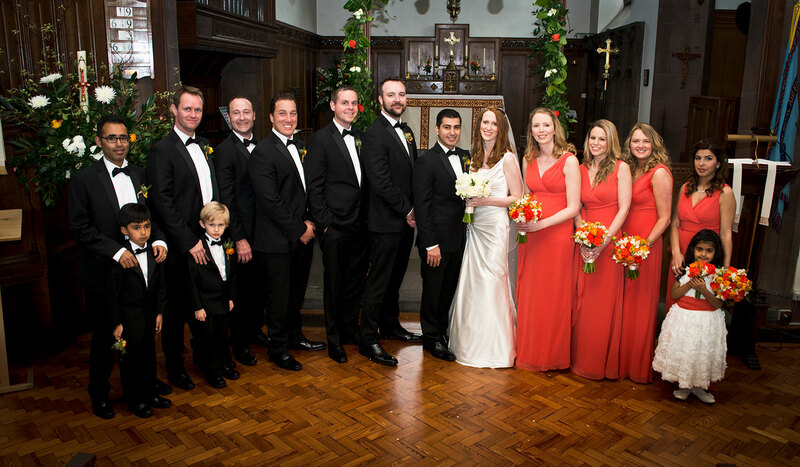 We always work with the minister to make sure we are not noticed during the ceremony and work very unobtrusively. 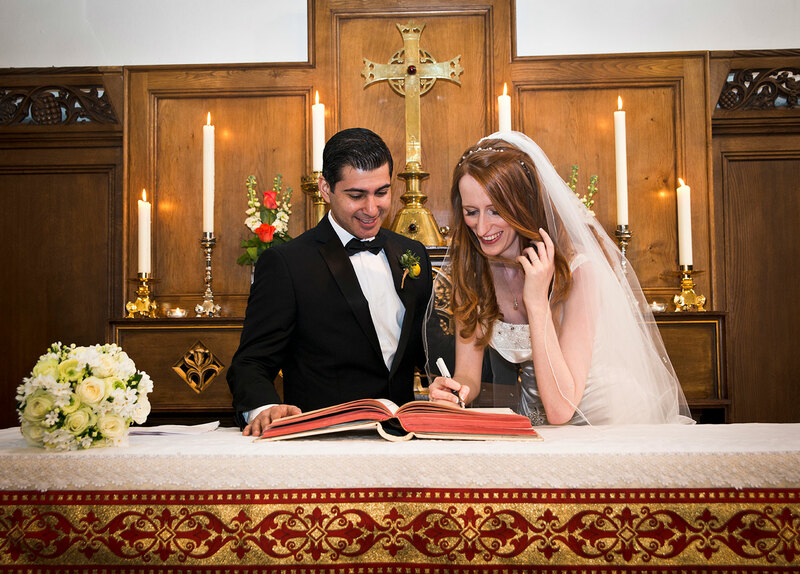 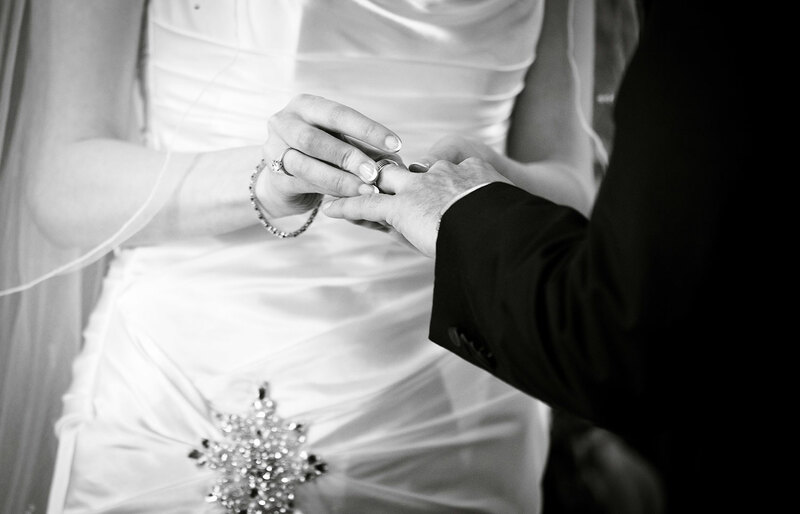 We try to avoid flash as much as possible and only use it during the key moments, if necessary, such as the kiss, or the signing. 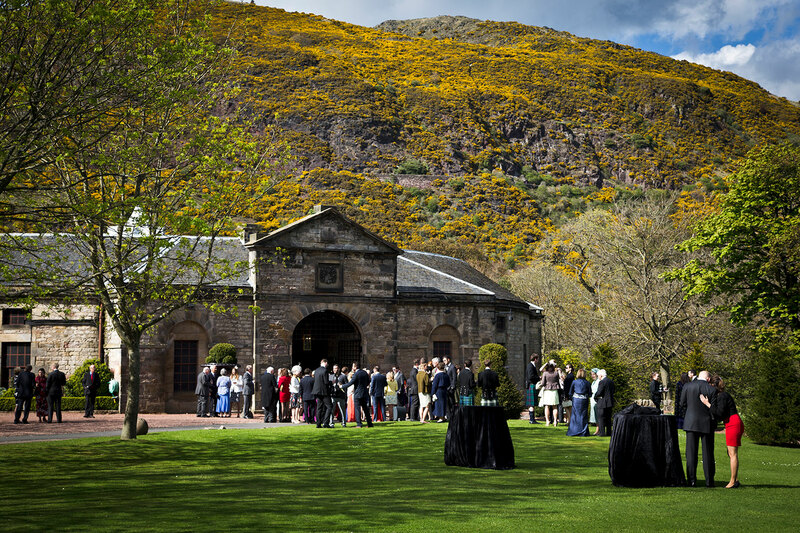 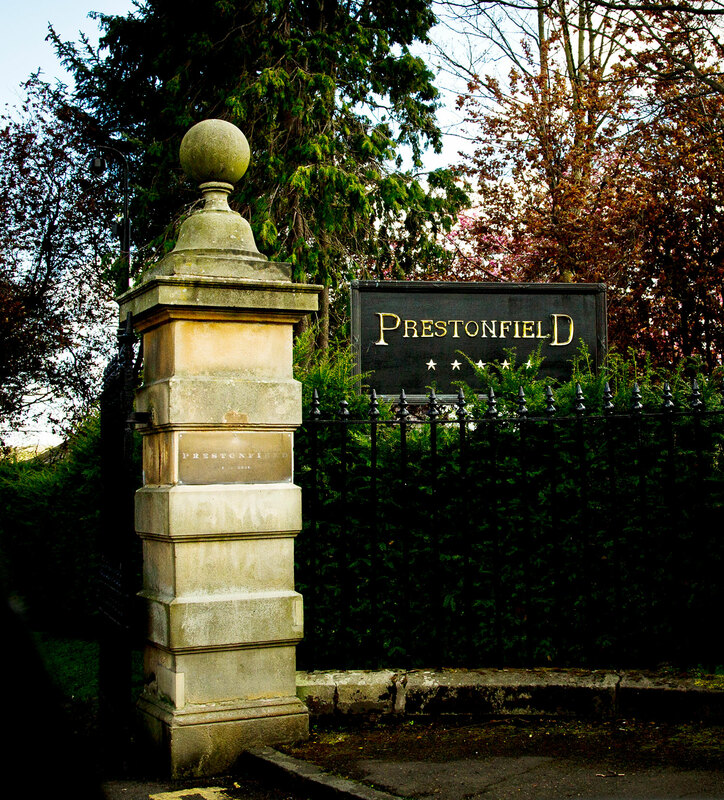 Such a great day for an outdoor's reception at Prestonfield. 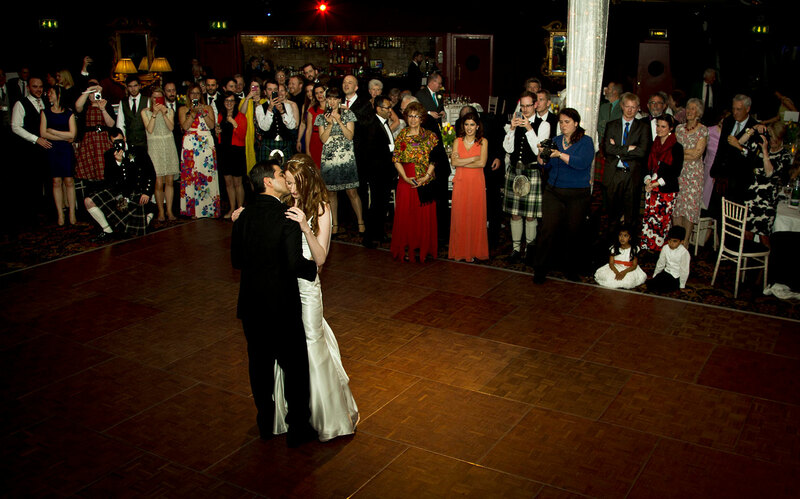 Capturing the guests having fun. 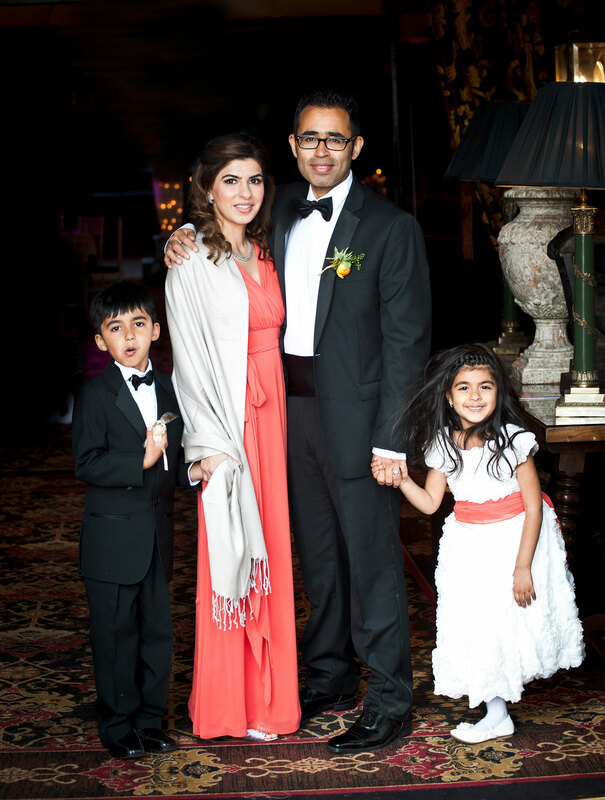 And there's always time for a family portrait. 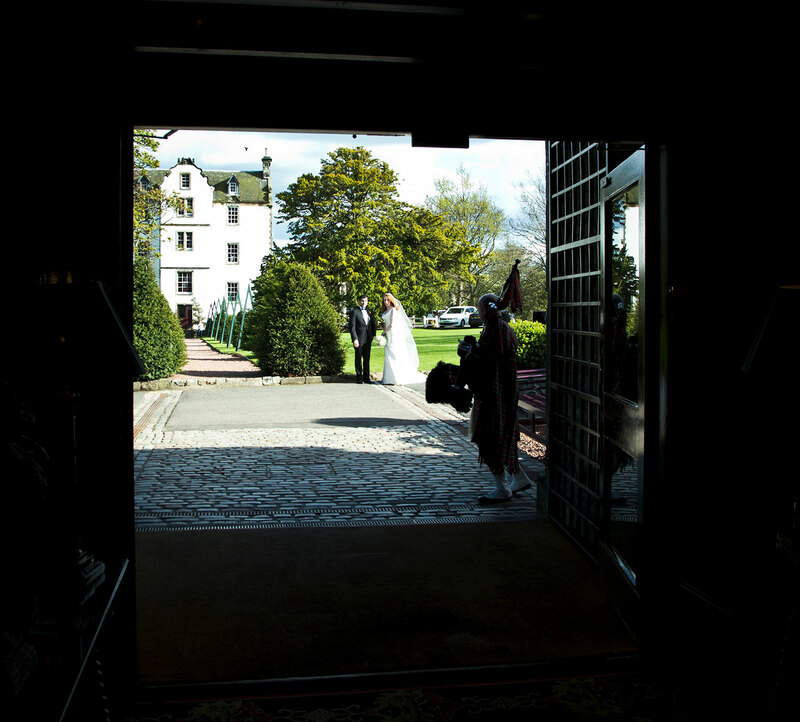 The best place for a photograph of everyone is just opposite the entrance of the main House. 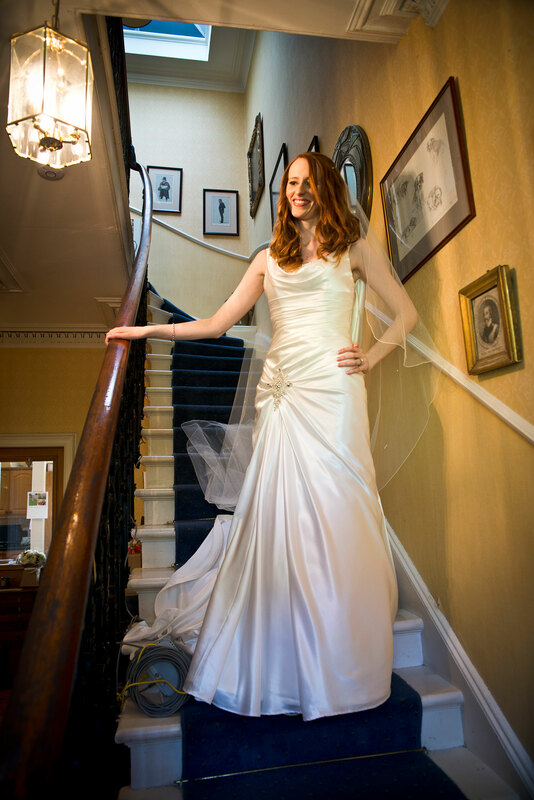 I was upstairs on the balcony. 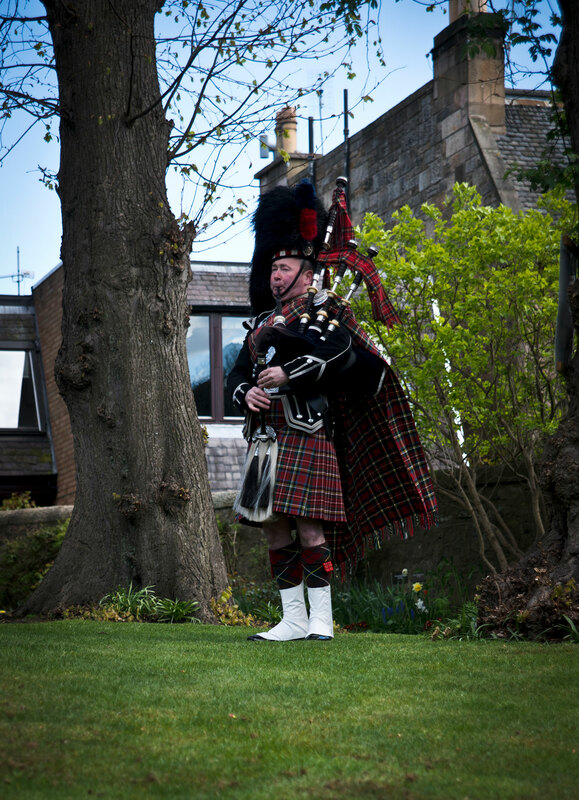 About to be piped in for the wedding breakfast.